The Museo Nacional de Bellas Artes (MNBA) is hosting a new exhibition featuring the works of renowned Argentine illustrator and comic artist Oscar “Oski” Conti. 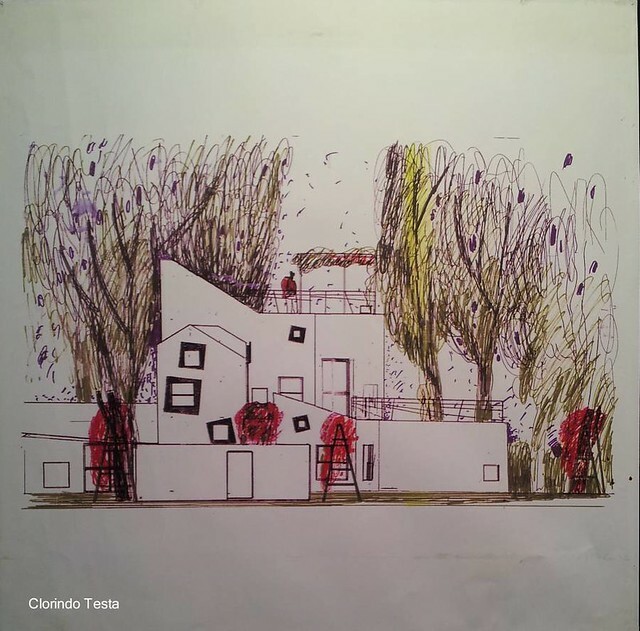 In terms of form, Conti’s work was highly influenced by Rumanian illustrator Saul Steinberg. Thematically, it includes historical references, as well as personal experiences and depictions of his travels. The exhibit, which will take place until the 25th of November, is showcasing over 75 of the artist’s pieces as well as photographs and essays written by Umberto Eco, Juan Sasturnain and other renowned intellectuals. There will also be a screening of two films and a power point display with unpublished material. 9.30 a.m. – 8.30 p.m.
Av. Del Libertador 1473, Recoleta. Liliana Porter is an Argentine contemporary artist that works with mixed media. Her artwork deals with topics such as time, space, and the dual nature of destruction and creation. Many of her pieces include inanimate objects that she finds in flea markets and later gives new meaning through art. She also works with photography, engravings, drawings and video. El hombre con el hacha y otras situaciones breves (the man with the axe and other temporary situations) is the name of the MALBA exhibit that is being displayed and portrays different characters carrying out actions that build the idea of paradox and ambiguity. 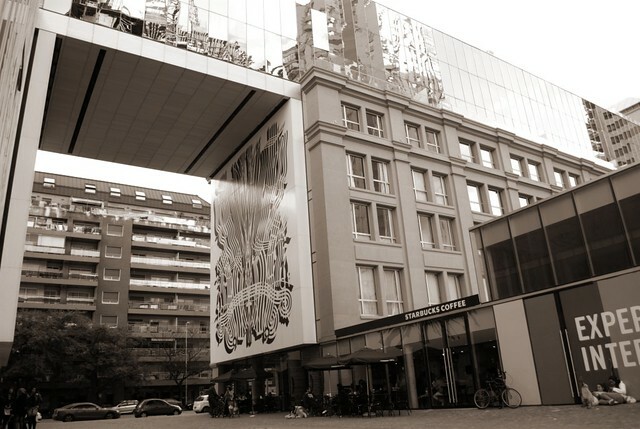 The exhibition is taking place until the 18th of November. The museum is open from Thursday to Monday from midday to 8pm, and to 9pm on Wednesdays. Tickets are 40 pesos. Avenida Figueroa Alcorta 3415, Palermo. 4808-6500. 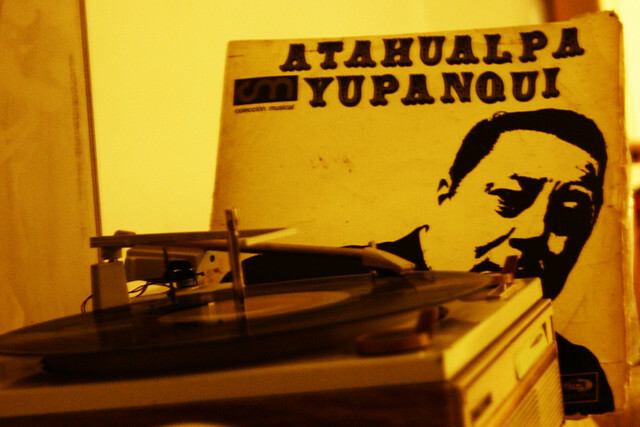 Atahualpa Yupanqui is considered to have been the most important folklore musician of the country. His real name was Hector Roberto Chavero Aramburu, and the pseudonym he adopted is Quechua for “he who comes from a faraway land to tell something.” The renowned musician was not only a singer, songwriter and guitarist, but also a poet and an author, and is remembered both for his music and his lyrics. One of the great influences on his work was his second wife Nenette, a French musician who immigrated to Buenos Aires in the thirties. Since she was the artist’s second wife, and at the time they met he was still not divorced, and also because of the strong traditional imprint in Yupanqui’s work and the sexist conditions of Argentine culture at the time, Nenette worked under the pseudonym Pablo del Cerro. Credited to Pablo/Nenette are 66 songs, most in collaboration with Yupanqui. The Faena Arts Center in Puerto Madero is kicking off a new exhibit of British artist Anthony McCall and German artist Mischa Kuball this Spring. The exhibition is centered on the Borges story, El Aleph and deals with issues of time, space and light. McCall’s work combines film, sculpture and two dimensional drawings that are projected in a way that they become seemingly tangible forms in space. Kuball works directly with light, playing with its movements to create a unique effect. The showcase will be open throughout Spring on Saturday’s, Sunday’s and Monday’s from midday to 7pm. Tickets are 40 pesos. Aime Paine 1169, Puerto Madero. Alfonsina Storni is one of the most renowned poets of the Modernist period, and although she was born in Switzerland, since she moved to Argentina at a young age and developed a local literary identity, she is considered an Argentine poet. She was born in 1892, and when she was four she moved to South America, which would become her permanent home. As a young woman, she worked as an actress touring the country, and later on as a teacher. She was also the single mother of an illegitimate child, and had breast cancer in her adult life. These experiences put her in touch with issues related to the role of women in society and she developed a strong feminist streak that permeated her works. Her poetry deals with themes related to women, love, eroticism, and her later works with thoughts regarding intellect and emotion. The talented poet, tormented by her illness, finally committed suicide by drowning herself in the sea in 1938.